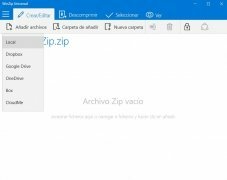 Together with WinRAR and 7Zip, WinZip is definitely one of the most extended and popular compression and extraction tools. 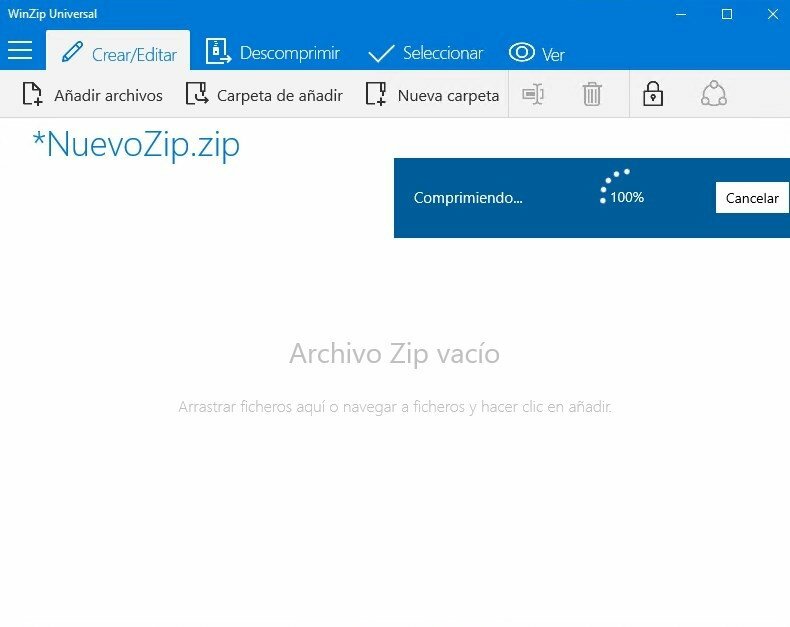 This program has got plenty of experience behind it allowing us to reduce the size of a file or compress several files into the same folder, among its main functions. Its great reputation has even led to the development of versions for Mac and Android in APK format. Greateer integration to work online. Some time ago, the way we work with computers suddenly changed: now our connection to the Internet and online services is continuous thanks to the proliferation of smartphones and tablets. 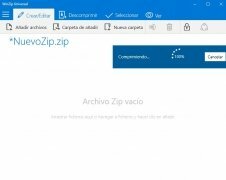 That's why WinZip Universal has extended its functions to adapt to the increasingly common use of different formats and services of the likes of OneDrive, Dropbox and Google Drive, where many users keep their files. 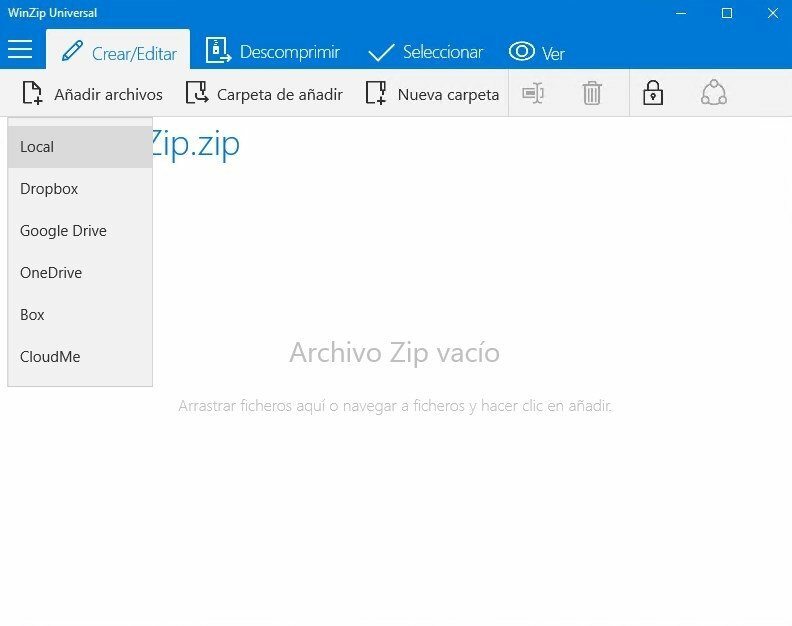 That's the most important new features of this version of the compression tool for Windows 10, that makes sharing files on social networks such as Facebook, LinkedIn, and Twitter much safer and more intuitive thanks to the direct connections it incorporates. 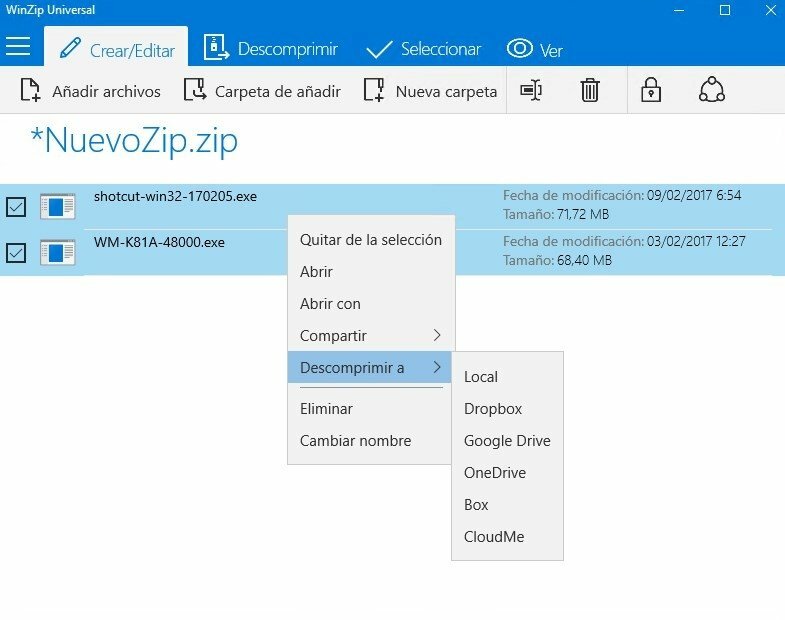 Compatible with 26 different compression formats, including ZIP, RAR, and 7z. Compress and decompress files on the cloud within online storage services like Dropbox, Google Drive, OneDrive, Box, and CloudMe. 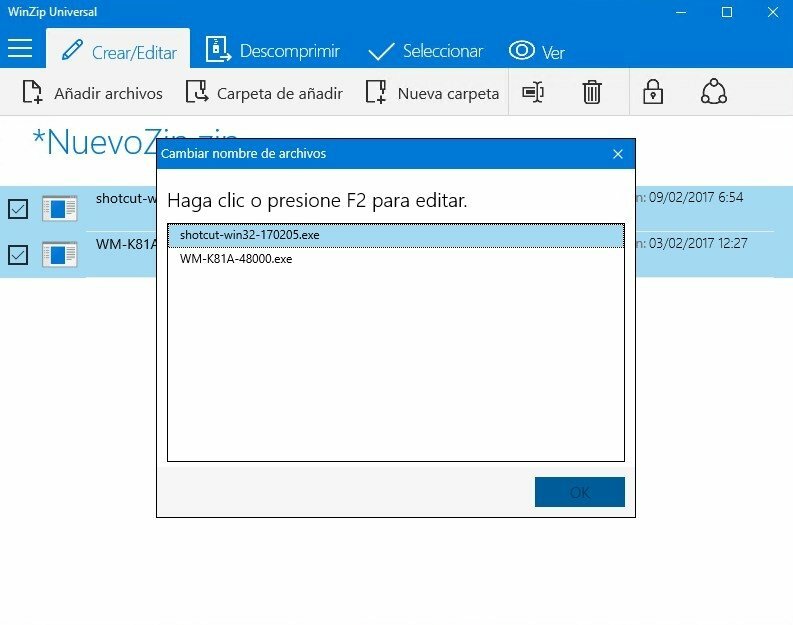 Edit the name of the files. 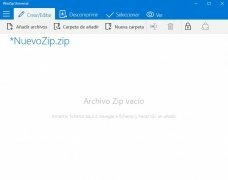 Share on social networks by sending the link with ZipShare service or share it on other apps installed on your computer. Choose the encryption level for each file: basic encryption, AES-128, and AES-256. Sorry, but that's not what you're going to find here... WinZip is a paid application and this is precisely the trial version that you can use for 20 days without any other limitation. 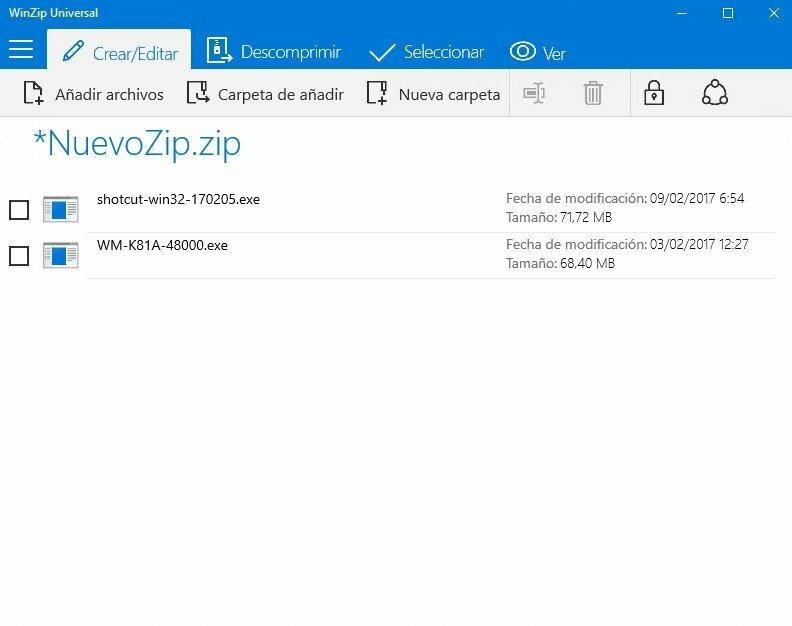 In that case, you're probably asking yourself about which one's better, whether this one or any of its alternatives like WinRAR or 7zip. Only the latter is totally free but it lacks advanced functions such as those present in this Universal version.